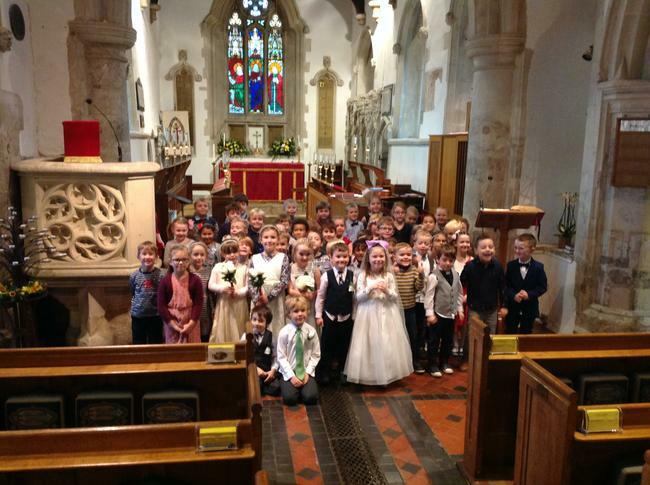 All the year 1 children looked very smart as they dressed up ready for their visit to the church for a wedding and a christening. They all had a lovely time and were keen to be involved. 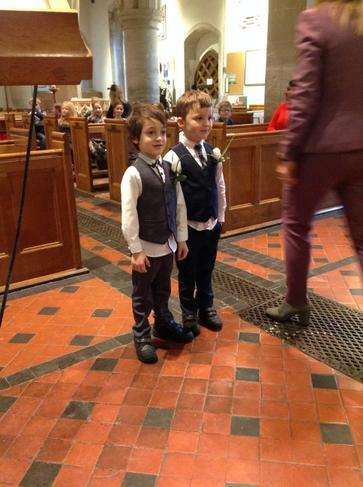 Thomas said "I had a nice day at the church and they looked after me." India said " I enjoyed taking part in the singing." 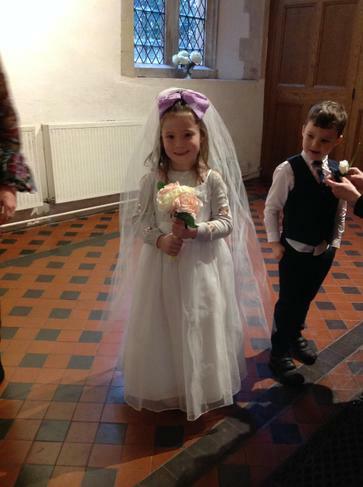 Eliza said "I liked being there to see Amelia and Thomas get pretend married." 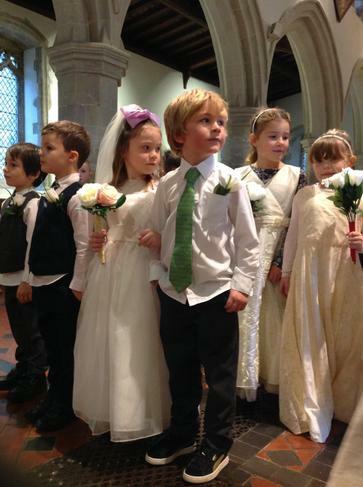 Monty said "I liked being picked as a groomsmen"
Isabella said " I loved watching Thomas and Amelia getting married." Scarlet said "I like the cross being put on the baby."